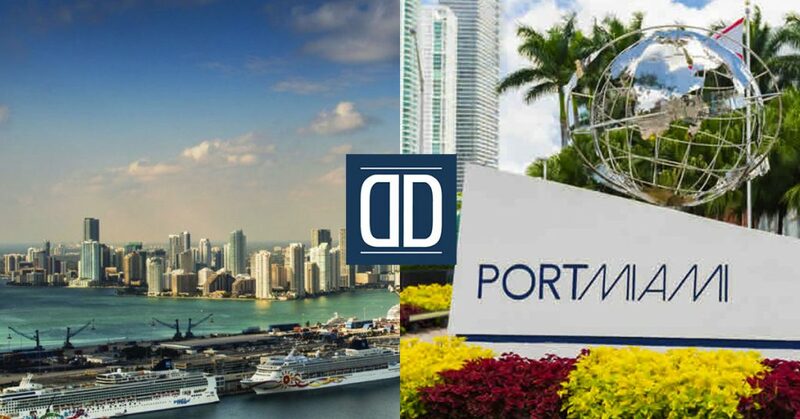 Dash Door & Glass has been making waves at PortMiami recently with terminal construction projects for Norwegian Cruise Line and Royal Caribbean. Three Dash Door & Glass groups were retained by NV2A-Haskell Joint Venture for work on the Norwegian Cruise Line terminal: Glass & Glazing Group, Contract Door & Hardware Group, and Automatic Door Group. Dash Door & Glass Automatic Door Group was retained for work at Royal Caribbean Cruise Terminal A. Dash Door & Glass provided the low-energy automatic entrance equipment, which the team integrated with the fire alarm system to automatically open upon fire event according to a preset smoke evacuation sequence. Learn more about other Dash Door & Glass transportation projects here.